/ Reverse Culture Shock: What Language Do You Dream In? One of the things we think about at this time of year is the fact that our students will be returning home soon. We’ve written about that before; see, for example, Tips for Exchange Students: I’m Ready to Go Home, I’m Not Ready to Go Home and 10 Quick Tips for a Successful End to the Exchange Year. Readers who haven’t hosted an international student or who haven’t lived abroad for long periods of time might not understand at first that there might be issues to talk about. After all, wouldn’t it be good to return home after a long time away? But returning home can be more complicated than you might think. We see these complications in the high school exchange students we work with each year. They feel comfortable now in their host families and in their host communities, but they’re still “foreigners.” Yet they don’t feel exactly German, Brazilian, or Australian anymore, either. They don’t really know what to expect when they return home. Will their friends be jealous of the experiences they have had? Will their parents be upset that their teen is more independent than before? Will their boyfriend/girlfriend have moved on? They miss their parents and friends, but they know they will miss their host families and new friends here. Yes, they look forward to going back home. They also want to hold on to the life they have developed in their host country. The disorientation often begins before a traveler returns home. Many of our students are beginning even now—three months before most of them will leave the U.S.—to share their confusion and anxiety. The mixed feelings can continue for a long time afterwards, as well. Many people have written about “reverse” culture shock, a term pinned to the disorientation people feel about re-immersion into life back home after a significant amount of time abroad. You might think that one more book couldn’t add anything new. Perhaps that’s true. H.E. 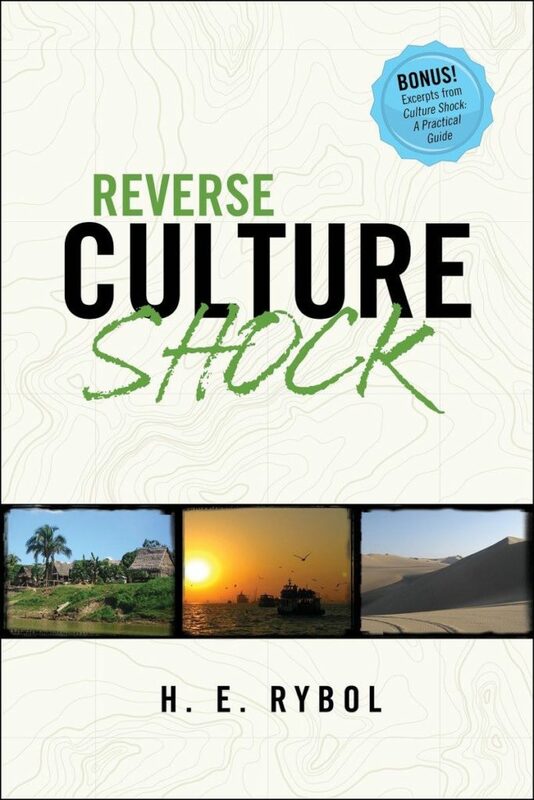 Rybol’s new book, Reverse Culture Shock, may not add anything new. But that doesn’t mean it doesn’t add anything useful. It does, and there’s a difference. “Reverse culture shock” does not have a simple, one-sentence definition or solution. Rybol explores what this concept means through reflections and personal stories. It’s an easy read – and at the same time a difficult one. Rybol covers her own experience, as perhaps is the best way to explore an issue that is deeply personal. She covers the challenges of living abroad, as you cannot talk about the impacts of returning home without bringing in what happens before you go home. She talks about comparing cultures when you’ve experienced cultures that seem so different. She looks at the impacts on friendships. She talks about how immersion in a second language can confuse the brain (have you ever switched languages several times in the same sentence?). Our students, who come to the U.S. to spend 5 or 10 months immersing themselves in our culture, often tell us what Rybol describes. They go home and friends tell them they have an American accent — something that they have perhaps worked hard to achieve during their time here, but which now seems like something negative. They struggle to express themselves in their own language after being immersed in English for so long; one of our own students related to us a few years ago how he got off the plane and walked into the airport terminal to a circle of family and friends — and for a moment, could not remember a word of German. Upon returning home, our students—like Rybol—say they think about things differently. This can range from different ways of problem solving that is a natural outgrowth of being compelled to deal with new and sometimes challenging situations, to having a changed perspective of what “America” is all about after having lived in an American city, small town, or farm. They are not American, of course. But in a way they are no longer German, Thai, or Brazilian. They’re something more. 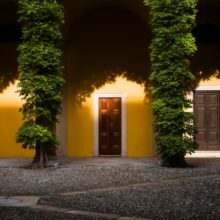 Re-entry, the way I see it, is a more holistic way of looking at the part of your abroad journey that occurs once you go “home.” Your abroad journey doesn’t end when you step off the plane. Your journey simply transitions from being abroad to being in re-entry. I don’t know if Rybol would characterize it exactly the same way. But she does describe this transition as something that can be a positive experience. She talks about ways that have helped her to readjust to life back home after long periods abroad. She feels the process can teach you that going outside your comfort zone can expand your thinking and teach you new skills. It can help you understand your own culture better than you did before. It can remind you that “[f]eeling vulnerable and lost is a way to learn about the need for kindness and compassion.” In other words, it’s really part of the entire cross-cultural experience. This trip helped me realize that connecting across cultures can make us kinder, more compassionate, grateful and understanding. It shouldn’t be taken for granted. Instead, we should be aware of how the effects of connecting across cultures can positively impact the lives of everyone involved. It has a ripple effect. Reverse Culture Shock is available at Amazon. Find out more about H.E. Rybol at her website. Photo credits: H.E. Rybol and Samuel Zeller. Thank you so much for this thoughtful review, Laura. I really appreciate it. This is a really interesting topic–I remember returning to the U.S. after my first trip to Europe and thinking “Where are all the people?” That was the first time it had occurred to me that no one walks anywhere in our country. I wouldn’t have even known this about my native land if I hadn’t gone away. Travel opens our eyes to so many things! Great review! I’d heard about this book recently and now I really want to check it out!